Working with the staff of the Stevens Nature Center, the Friends of Hemlock Bluffs have been working to maximize grant funding. Our primary focus has been collaborating with staff to identify major budget limitations and the primary areas that are severely underfunded. Projects brought forward by staff as "needed, but unfunded" are a priority for the Friends. A grant for $12,500 from The Jandy Ammons Foundation has been provided to the Friends for the 2018 calendar year to improve the displays in the Stevens Nature Center's exhibit hall - specifically the "Wildlife in Action" panel on the "Our Environment Wall". 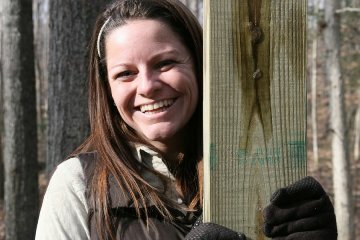 The Jandy Ammons Foundation partnered with the Friends of Hemlock Bluffs on the Children's Nature Trail in 2015, providing essential funding for the project which sees use by thousands of children and their parents each year - as they enjoy nature together in a fun and safe environment at Hemlock Bluffs. The new "Wildlife in Action" display will feature videos of native animals taken on the nature preserve after hours and mostly after dark, allowing visitors to get a glimpse of what wildlife does after the nature preserve closes. The overall exhibit improvements are focusing on integrating technology into hands-on interactive, educational stations for visitors of all ages. ​We look forward to partnering with The Jandy Ammons Foundation on this exciting renovation project. The NC Science Museums Grant Program recently notified the Friends of Hemlock Bluffs that due to legal regulations the 2017 - 2019 grant would not be awarded. The Friends received a grant from the Lazy Daze Festival Committee for $750.00! Thank you Lazy Daze Festival Committee, sponsors, vendors and participants! This year we are working with Hemlock Bluffs staff to renovate the displays and technology in the nature center's exhibit hall. Eventually, we hope to raise enough funds to enable us to work together to create a standard of excellence in the entire exhibit hall. Limited funds have required some cost cutting decision-making. We'd like to rise to a level of excellence in educational opportunities offered on-site in all areas, including the exhibit hall. This grant is only a portion of the funds necessary to begin the work toward upgrading the exhibits. Additional fund-raising will be required. Fundraising for our Exhibit Renovation Project continues, as we seek grants to implement our plan to upgrade technology and the hands-on character of the displays in the Stevens Nature Center. Let us know if your employer, small business or organization provides grants to educational, non-profits like the Friends of Hemlock Bluffs. 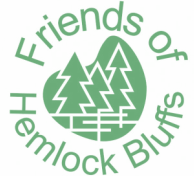 The Friends of Hemlock Bluffs received a $9,000 grant from the Jandy Ammons Foundation in the fall of 2014. 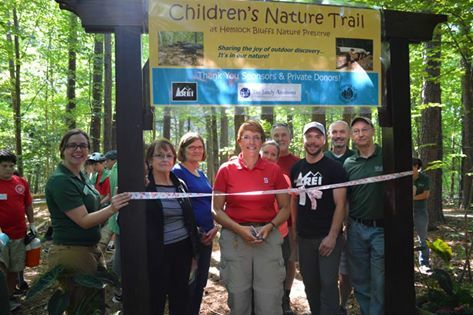 The funding was provided for educational elements to supplement the initial phases of the Children’s Nature Trail which was in the planning phase at Hemlock Bluffs. The Jandy Ammons Foundation, which funds local greenway, park and greenspace projects, came on board to assist with funding for additional trail features to enhance the educational nature of the trail. The money was used for the large-scale turtle stepper elements, the hand-crafted ceramic bird silhouettes, interpretive signs, informational signs and the children's playhouse. 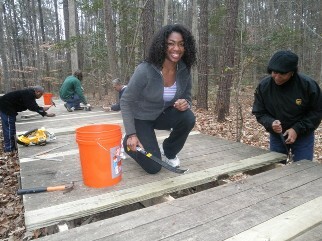 The project overall is meant to encourage parents to engage their children in nature discovery while on the trail. Jandy Ammons funds have made this project a reality! Between 2010 and 2014 REI provided almost $65,000 in grant funding to the Friends of Hemlock Bluffs for trail improvements, volunteer funding and the Children's Nature Trail at Hemlock Bluffs. REI has hosted National Trails Day at Hemlock Bluffs consecutively at Hemlock Bluffs Nature Preserve since 1995 - that's over TWENTY YEARS! REI has also been consistently hosting National Public Lands Day in September, which has become the second most attended Volunteer Workday at Hemlock Bluffs Nature Preserve. Thank you for your support and your continued partnership, REI!